Melbourne’s Little Red have been away a while, growing up, growing down, tasting the sweet and the bittersweet in equal measures. The band now returns with the historically ‘difficult’ second album, but in this particular case they have delivered an album that is truly a quantum leap in songwriting and production. It is an inverse manifestation of the natural rock’n’roll order that stumps so many. Midnight Remember is a true accomplishment and a marked and impressive step forward in craft for primary songwriter Dominic Byrne. In the last 6 months the album has found an amazing breadth of fans in the band’s native Australia and on 10.25 it will finally see it’s remastered (with bonus tracks) release in the United States and Canada. 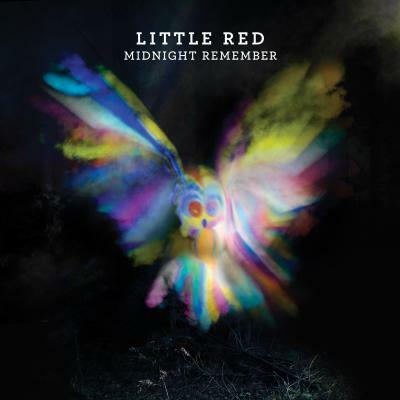 Little Red’s stunning evolution on this new opus, Midnight Remember, has seen the band explore the art of writing and curating songs with a passion remarkable for a band that has already been commonly celebrated for their musical forays into pop-guitar’s golden age. The sprawl of musical influences is coherently sewn together not just by a widescreen approach to the arrangements and overall production, but by lyrical inspirations that coincidentally but markedly point to life lived and not imagined. “One of our goals with this album, was to convey clearly and honestly our personal feelings and viewpoints on the world, relationships, parties, anything really. I guess it just comes with getting older,” says Quang Dinh (bass/vocals). “There is more life awareness in this one; I feel somewhere in your twenties you get that awareness of mortality – you see the bottom of the wine bottle, so to speak, and the moments become more precious,” adds Dominic Byrne, singer and vocalist who has extended his range considerably on Midnight Remember. The results speak for themselves and tellingly this collection of tunes still drip with energy and/or heart-on-plate honesty but there is also an undeniable technical leap into a hyperspace that takes the band well into the modern age. You are as likely to hear echoes of Phoenix, Television to Bruce Springsteen, early U2 to MGMT, with lashings of Bob Dylan and his erudite prose seeping through. Midnight Remember is somehow both epic and intimate, a diverse and accomplished suite of songs painted in the hypercolor details of summer’s most memorable midnights.